With the creation of the Kent, Surrey and Sussex CRC I developed a new secure web platform from the server architecture up. The system runs the KSSCRC website, and has a seamless WYSIWIG administration interface. 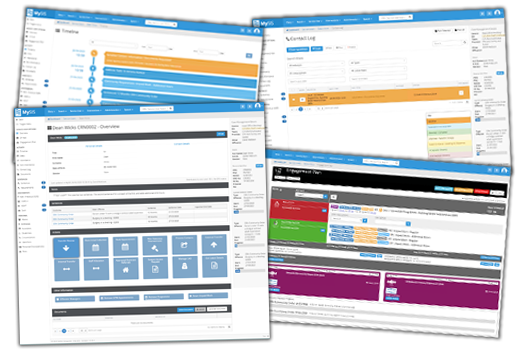 The platform also has the capability of running as a secure Intranet and as a public access portal. The site is fully responsive in modern web browsers and in IE6. Booking Manager. This system allows staff to book interview and meeting rooms throughout the county from their desktops. The status of the rooms in each office is displayed on a large screen in the corridors. Each corridor also has a touchscreen interface to allow bookings to be repeated. 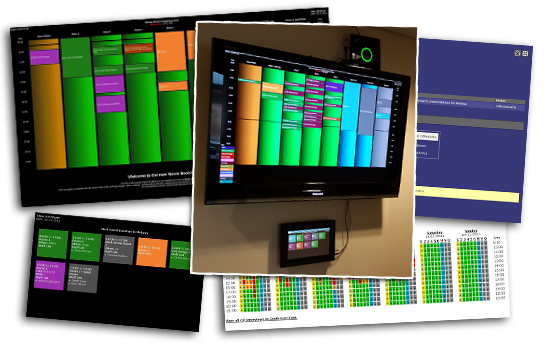 Each corridor interface runs a ubuntu web server pointed to a central database to display current status, and the touchscreens are all android tablets. 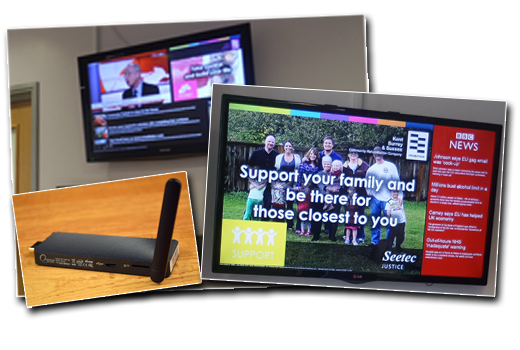 The digital waiting room system has been developed to display messages and create white noise in waiting areas. The system has improved over a number of years to feature multiple display options to cope with varying bandwidth and licensing. The latest version is based on a new range of Windows 10 micro PC sticks. 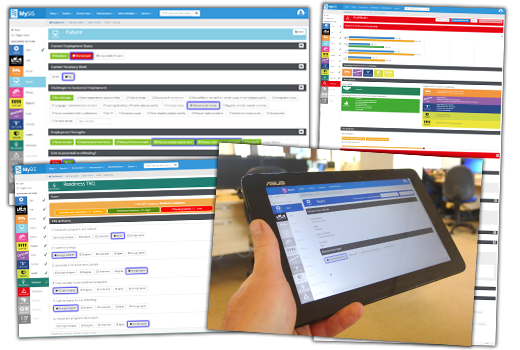 Each unit synchronises it's content, allowing the information displayed to be easily updated. They also transmit their current status to a central control interface. An Extranet is a digital mirror of an Intranet. 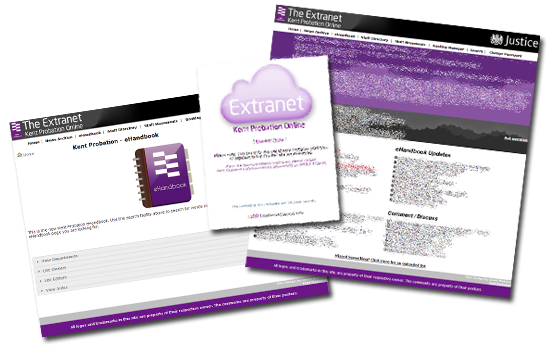 Creating the Extranet provided numerous IT security challenges that needed to met. The system has been running successfully for the past 5 years. I have built a website for a local curtain retail business. The customer wanted a vibrant bright website matching their store. The site included a custom content management system to allow all aspects of the site to be kept up to date. As well as building the site, I fixed a number of DNS and SEO issues, and recovered a lost domain name. This moved the site to #1 in a local google search. 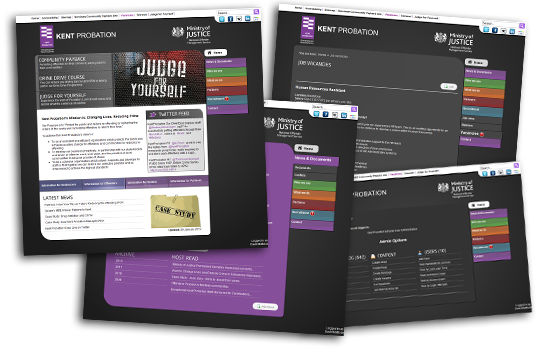 Kent Probation's Website. 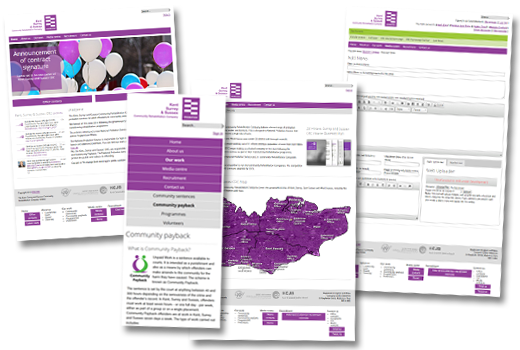 Development of this website was from the ground up, with a bespoke content management system, authenticaiton protocols, and incorporating the latest web standards. Whilst most of my work has been for Kent Probation, I have also created a number of websites freelance.